The wine cellar Caccia Al Piano is located along the road Bolgherese, heart of fine wine from Bolgheri, in the town of Castagneto Carducci. There are about 20 hectares of vineyards located at different heights, with excellent exposure and positions, broken down into three areas. 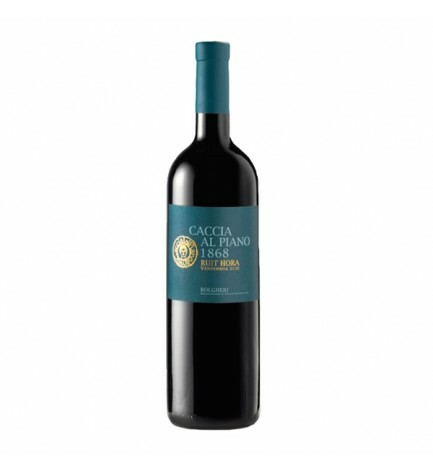 Vineyards Merlot, Cabernet Sauvignon, Cabernet Franc and Syrah, only red grapes, as per the specification of the DOC Bolgheri and Bolgheri DOC Superiore. The vineyards of Caccia Al Piano have a density of 10,000 plants per hectare, able to ensure a high level of quality: the limit of 5 bunches per plant ensures greater concentration of aromas.